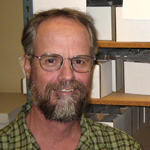 Dr. Hildebrandt’s archaeological research focuses on hunter-gatherer adaptations in California, Oregon, and the Great Basin. 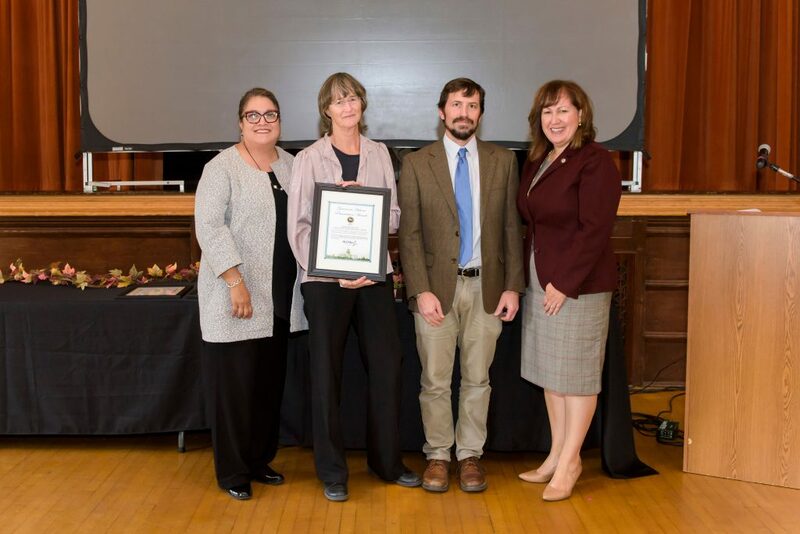 Bill is also a leader in the field of cultural resources management, and he has helped many government agencies preserve and better understand important archaeological sites under their management. His research is published in a variety of peer-reviewed journals and he has authored numerous monographs and book chapters published by the Smithsonian, American Museum of Natural History, UC Berkeley, UC Davis, UC Los Angeles, University of Utah, and the Nevada State Museum. He is currently working on the evolution of prehistoric hunting patterns in California and the Great Basin, applying modern approaches of human behavioral ecology to this research effort. The Morro Bay Fauna: Evidence for a Medieval Droughts Refugium on the Central California Coast. American Antiquity 82 (2):203-222. Large Game Hunting in the American West: A comment on Fisher’s (2015) Reassessment of the Ascendance of Hunting Debate. American Antiquity 81 (4):764-765. 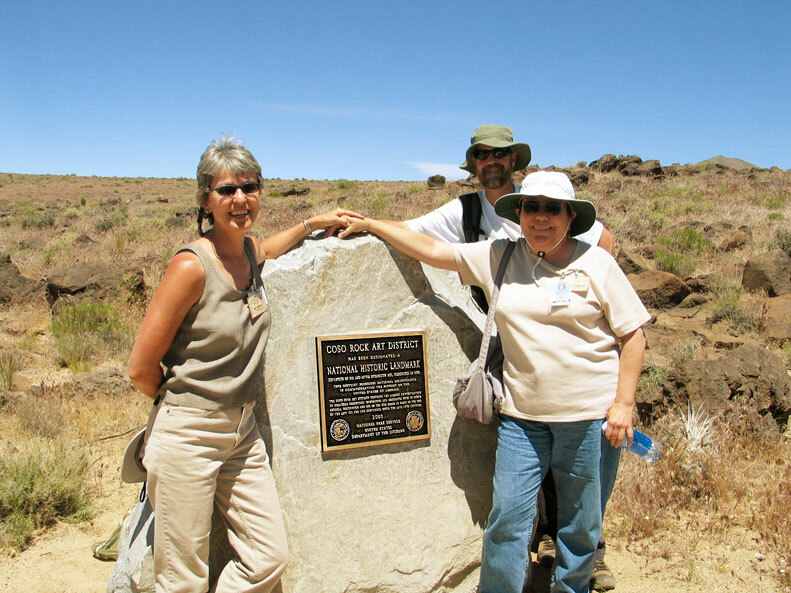 Prehistory of Nevada’s Northern Tier: Archaeological Investigations along the Ruby Pipeline. American Museum of Natural History Anthropological Papers, Number 101. Founding Member, Far Western Anthropological Research Group, Inc.
Research Associate, Division of Anthropology, American Museum of Natural History. 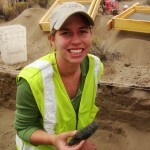 After earning her BA in Anthropology from the University of California, Santa Cruz , Kaely joined Far Western as a staff archaeologist in 2009. Kaely currently serves as our Data Assets Manager, overseeing the transcribing, organizing, and finalizing of records search and field-collected data as efficiently as possible, while upholding high technical and editorial standards. Her experience in cultural resources management includes archaeological survey, excavation, database management, pre- and post-field data management, and report support. She also serves as the Assistant Editor of the Journal of California and Great Basin Anthropology since 2013, and is the coordinator of the Far Western Occasional Speaker Series. At the Vanishing Point: Environment and Prehistoric Land Use in the Black Rock Desert. Anthropological Papers of the American Museum of National History, No. 103. New York City, New York. At the Edge: Environment and Prehistoric Culture Change along the Black Rock Desert Playa. Volume I: Prehistoric Report. 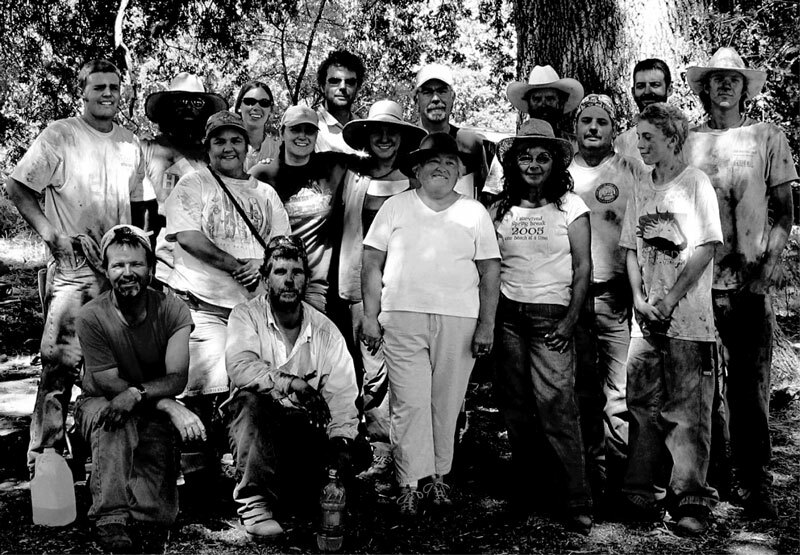 Far Western Anthropological Research Group, Inc., Davis, California. Submitted to Hycroft Mining Corporation, Reno, Nevada, and Bureau of Land Management, Black Rock Field Office, Winnemucca, Nevada. Flaked Stone Production Patterns. In Prehistory of Nevada’s Northern Tier: Archaeological Investigations along the Ruby Pipeline by W. Hildebrandt, K. McGuire, J. King, A. Ruby and D.C. Young. American Museum of Natural History Anthropological Papers, Number 101:237-260. October 6th – 9th 2016: Far Western researchers, along with colleagues from across the nation, gathered to present recent research and share ideas at the 35th Great Basin Anthropological Conference in Reno, Nevada. Organized around a conference theme of “Featured Landscapes of the Great Basin”, archaeologists from Far Western presented or contributed to nineteen paper and poster presentations. These included a poster symposium organized by Bill Hildebrandt highlighting the Ruby Pipeline Project, a plenary presentation by D. Craig Young, and new research from the Lincoln County Archaeological Initiative, the Marine Corps Air Ground Combat Center in the Mojave Desert, the Naval Air Station Fallon, and the Soldier Meadows Area of Critical Environmental Concern. A full menu of Far Western presentation abstracts and viewable posters is provided below. The Great Basin Anthropological Conference is organized biennially by the Great Basin Anthropological Association – Far Western’s President, Kim Carpenter, serves as Treasurer on the association’s Board of Directors. Conferences such as the GBAC are great opportunities for archaeologists, historians, ethnographers, native communities, and regulatory agencies to present and discuss new research and future directions. A special thank you to our Art Director, Tammara Norton, for assistance with our 2016 GBAC presentations. Far Western is conducting surveys in Cave and Lake Valleys as part of a LCAI Round 7 project to develop a Paleoindian Archaeological Context. Using both random and nonrandom sampling methods, the fieldwork is designed to test the predictions of a GIS-based model for the decline of Great Basin pluvial lakes and, by extension, the wetland habitats surrounding them. We infer that the Paleoindian record associated with short-lived lakes, such as Lake Cave in Cave Valley, would be more restricted to an early Paleoindian record than that associated with enduring lakes, such as Lake Carpenter in Lake Valley. Observing the differences between these neighboring basins will inform the broader regional issue of how and when Paleoindian peoples responded to the ultimate demise of the basin wetland habitats central to their land use strategy. This paper presents results from a series of experiments involving replicated crescents to evaluate some of the more common hypotheses proposed for the function of crescents and gain a better understanding of their role in the prehistoric toolkit. Crescents were used to cut leather, scrape willow, and tip projectiles thrown at targets. Models from human behavioral ecology were applied to evaluate the efficiency of crescents for each task. Additionally, the breaks that accrued from use on the replicated crescents were compared to archaeological patterns. Results from this study indicate that the primary function of crescents for cutting and slicing tasks and scraping plants is not supported; however, use as transverse projectile points is well-supported. Sourcing of obsidian nodules collected during evaluation of sites on one Naval Air Station Fallon training range in southern Lahontan Valley identified three previously unknown obsidian sources. These new sources are designated Dead Camel Mountains, Desert Mountains, and Lahontan Valley. Chemical ascription of temporally diagnostic obsidian projectile points from 29 sites in southern Lahontan Valley and Rawhide Flats generally demonstrate foragers had very large conveyance zones during the Paleoindian Period, with decreased conveyance zones through time. Lithic material type profiles for projectile points, tools, and debitage found on these sites located in two adjacent valleys show measurable differences in toolstone use that may represent different proximities to sources and/or different types of land use. The Native American voice within the institutional and regulatory framework of Great Basin CRM has rightfully increased through the last several decades. While a number of successes can be pointed to, much of the current status of this relationship remains challenging, and sometimes contested. 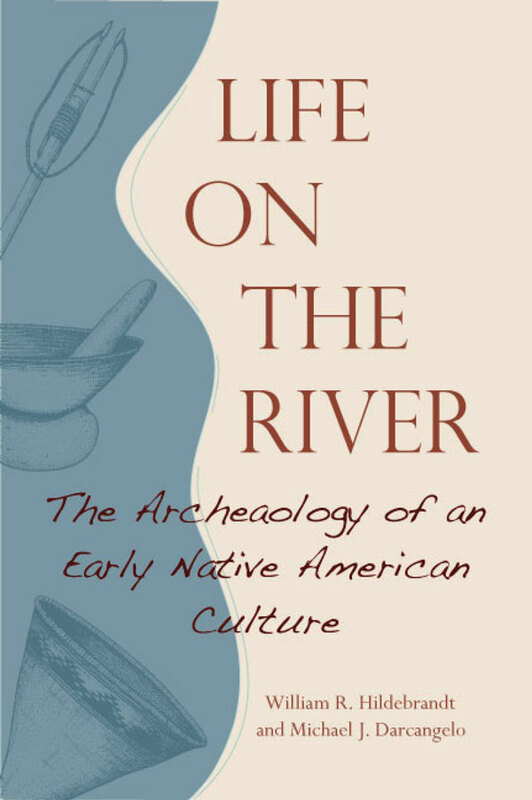 While Far Western must navigate this landscape, we also have a unique perspective, as we work directly with Native Americans, mostly younger people, actually doing archaeology. This experience has proven positive and occasionally transformational for both Native Americans and archaeologists. We advocate for the expanded participation of Native Americans at all levels of the archaeological enterprise. Bettinger and Baumhoff’s Traveler/Processor Model was a crucial contribution to Great Basin archaeology nearly 35 years ago and the model continues to bear theoretical fruit today. This paper examines how people living in large villages with intensified economies in California’s Great Central Valley co-existed with less-economically intensive adaptations in the adjacent Central Sierra Nevada Foothills for nearly 4,000 years despite consistent contact between the two. In this paper, we examine how the adjacent regions had such different trajectories of economic intensification. We outline how a combination of new technology and climatic instability changed the relative suitability of processor economic strategies and led foothill foragers to shift to a more valley-like adaptation. More generally, the model provides a framework to explaining the coexistence of neighboring but dramatically different economies – for instance foragers vs. farmers – despite contact, as well as the mechanisms that might catalyze a shift from one economy to another. Starch grain analysis is an underutilized non-destructive method for improving our understanding of prehistoric plant usage, previously only utilized as a laboratory technique. As part of a larger landscape sampling for my master’s thesis at California State University, Chico, I sampled bedrock mortars at CA-ALP-156 and CA-ALP-171 in the Sierra Crest using the in-field extraction method I developed. This research covers the development of the reference collection, the creation and application of this new in-field sampling technique, and subsequent results. As the sampling of bedrock mortars is only one of the many potential uses for this non-destructive technique, there will be a discussion of future research avenues made possible by bringing starch grain sampling out of the lab and into the landscape. The search for early archaeology in the Great Basin has shifted from a focus on prominent lacustrine features (e.g., spits and strandlines) to zones of potential resource productivity, especially basin-margin and deltaic wetlands. While theoretically smarter, we have made our work more difficult – these once expansive landforms may now be buried deep in dust. Bounded only by wind, dust transport and deposition are truly landscape-scale phenomena. Primary dust deposition can be measured today in tens of tons per acre per year. In the drying Late Pleistocene-Early Holocene transition, dust production and deposition may have been an order of magnitude greater. Eroded from hundreds of drying basins, eolian dust was deposited as vast silt plains or recycled into expansive distal reaches of alluvial fans. Reworked dust, as loess or alluvium, often forms temporally undifferentiated playa-like deposits, where we continue our hopeful searches – this silt-capped, reworked landscape may be too young. Temporally constraining dust episodes while identifying and investigating dust-infused landforms reveals potentially stratified paleo-landscapes, thereby narrowing our search for significant Paleoindian archaeology in the Great Basin. Far Western’s National Register evaluations of archaeological sites on the Pisgah Crater Lava Flow, adjacent to Lavic Lake aboard the Marine Corps Air Ground Combat Center in Twentynine Palms, California, reveal that hunter-gatherers utilized the many natural shelters created by collapsed lava blisters and tubes within the flow as settings for short term camps in support of regional resource pursuits. This poster summarizes data gathered from limited test excavations and collections of these lava flow sites and compares them to similar data gleaned from other local sites to frame a coherent picture of regional site use as a foundation for the construction of a Base-wide hunter-gatherer settlement-subsistence model. Throughout prehistory, that portion of the south-central Mojave Desert now encompassed by the Marine Corps Air Ground Combat Center appears to have largely supported short term hunter-gatherer occupations linked to the procurement of locally available jasper and chalcedony. Here, we specifically examine and compare data gathered from Far Western’s National Register evaluations of sites on the Pisgah Crater and Amboy Crater lava flows to model broader-scale settlement and subsistence patterns of the hunter-gatherers that preferentially exploited these toolstone, primarily as evident during the Late Holocene. 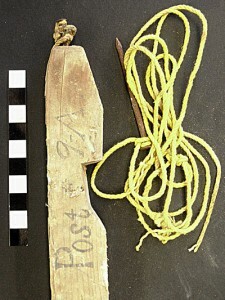 Recent survey on the Old River Bed delta yielded a charcoal-rich feature containing burned waterfowl bones and debitage. The feature is eroding from the playa surface and is surrounded by an associated concentration of stone tools, including Haskett projectile points. It is over 12,000 years old. Artifacts were found both on the surface and buried. In this poster, we provide details, including radiocarbon dates, faunal and macrobotanical evidence, and lithic analysis. Located in the Black Rock Desert-High Rock Canyon National Conservation Area, the Soldier Meadows ACEC is an exemplary locality given its unique hydrological, biological, and cultural features. Between 2013 and 2014, the BLM Black Rock Field Office directed Section 110 inventory aimed at formally documenting cultural resources within the 2,078- acre ACEC. Surface archaeology includes a near-continuous distribution of early through late Holocene flaked and ground stone accumulations as well as historic-era Emigrant Trail evidence, a stage and freight transportation corridor, and extensive ranching infrastructure that reflects homestead- through corporate-scale land use. An understanding of the surface archaeology in the ACEC will allow for long-term adaptive management, provide a resource for problem-oriented archaeological research, and help the BLM conserve this unique setting and its pervasive archaeological record. Early Holocene occupants of the Great Basin preferentially occupied highly productive habitats surrounding pluvial lakes. While growing evidence details the adaptations of these Prearchaic foragers in the Eastern and Western Great Basin, our understanding of the Central Great Basin remains impoverished, largely due because of the limited number of stratified archaeological sites containing well preserved material suitable for faunal analysis and radiocarbon dating. However, recent investigations of an open-air site along the northern shore of Pleistocene Lake Gilbert in Grass Valley, Nevada have revealed a buried deposit with preserved organic material associated with Prearchaic technology. Here we report preliminary analyses examining the chronology, subsistence, and technology associated with the site. Geoarchaeological analyses of soil map units and landforms suggest that similar sites are likely to be found elsewhere in Grass Valley. These findings help clarify our view of Prearchaic foragers in the Central Great Basin and expand our understanding of the earliest adaptation in the region. Occupants of the Great Basin 13-8 kya cannot be understood by direct analogy with ethnographic Great Basin foragers because they lived in climatic circumstances and at population densities utterly unlike those of recent times. Archaeological evidence suggests that hunter-gatherers were highly mobile with hunting oriented lithic technology lacking milling equipment, but acquired a broad spectrum of faunal prey and tended to camp near wetland environments. Here we develop expectations about the range of hunter-gatherer adaptations feasible under climatic scenarios for the Pleistocene-Holocene Transition as inferred from paleoenvironmental proxies. Using the marginal value theorem and theoretical expectations of sexual division of labor, we evaluate the range of subsistence and mobility evident in Binford’s ethnographic database under similar environmental parameters. This serves as a framework for casting specific expectations for Grass Valley, Nevada in context of broader Pre-archaic subsistence-settlement in the western and central Great Basin. The Ruby Pipeline corridor passes through four major habitat zones. Maximum resource productivity occurs in the west, and declines when moving in an easterly direction. Consistent with the expectations of Ideal Free Distribution modeling, the most productive zones were occupied first, followed by the infilling of the others over time. This sequence of settlement remained in place until about 500 years ago when long term habitat rankings were up ended, and the lower ranked eastern zones saw higher population densities than the western areas for the first time in prehistory. This radical change is linked to the more intensive use of small seeded plants with new technological systems brought to the area by the Western Shoshone. The huge database of geochemically sourced obsidian artifacts from the Ruby Pipeline provides a unique perspective on changing patterns of prehistoric obsidian procurement and conveyance in the northern Great Basin. One of the most striking trends is an increase in obsidian source diversity in the Late Prehistoric period, driven by increased representation of distant obsidian sources. Average transport distances, as quantified both by diagnostic projectile points and by samples of debitage from dated site components, are by far the highest in the Late Prehistoric period. Local sources still dominate obsidian source profiles, as they do in earlier periods, but the increase in the representation of far-distant sources is dramatic. The apparent timing of this shift, as well as the very long distances involved, suggest that obsidian may sometimes have been transported by Native traders on horseback. The economic importance of geophytes along the northwestern rim of the Great Basin is such that the entire region has been broadly categorized as the “root complex” by Catherine Fowler. However, the archaeological manifestations of geophyte gathering, processing, storage, and consumption are not well understood. Here, we review assemblages recovered from prime geophyte habitat in the Barrel Springs area in an effort to correlate certain tool types with productive geophyte zones, and to establish a settlement context of geophyte use. Particular attention is given to formed and simple flake tools and their role in the manufacture and maintenance of digging sticks, a central element of the geophyte harvest. We then discuss the energetic returns associated with geophyte procurement and its role in foraging systems through time in this region. A Landscape Analysis of Pronghorn Trap Features in Eastern Eastern Nevada contains the remains of many large wooden enclosures that were thought to have been used by prehistoric hunting groups to capture pronghorn. These enclosures, or corrals, display highly similar characteristics which reflect their builders’ sophisticated understanding of pronghorn behavior. Researchers from Far Western Anthropological Research Group, Inc., conducted a detailed analysis of the construction techniques used to build four such enclosures along the Ruby Pipeline corridor near Montello. Our study indicates that the builders intentionally integrated features of the landscape into the corrals that likely increased their effectiveness. Our presentation highlights the characteristics shared by the four prehistoric corrals as well as a nearby historic-period corral, compares them to other documented pronghorn corrals in the region, and offers a predictive model for locating additional corrals. Substantial attention is paid to prehistoric big game use in the western U.S., especially as it relates to changes in climate, hunting pressure, or the social contexts of foraging. However, many such studies are tightly focused, sometimes site-specific affairs. Here we take a broad look at big game use by summarizing faunal assemblages from 153 sites across the northern Great Basin. We show that while there is huge variation in site-specific reliance on big game within time periods and an increase in the frequency of large animals between the Paleoarchaic and later periods, the overall array or resources taken is generally broad and there is little difference in mean reliance on big game from the Early Archaic onwards. These data suggest broad stability in hunting patterns, and we discuss the reasons for the observed pattern, its generality, and its implications. The varied landforms of Nevada’s Northern Tier provide context for understanding the archaeological patterning that forms the basis for interpreting the human past in the vicinity of the Ruby Pipeline Project – research presented in this poster session. Eco-regions defined by modern floral communities and geologic units are the starting point, and these are viewed through a lens of late Pleistocene to Holocene landscape evolution. Geomorphological investigation of local landforms and regional geomorphic process included documentation of 25 alluvial profiles at 15 study locations in eleven hydrologic basins. These localities inform a model of changing conditions in alluvial systems across the Northern Tier. Laura Brink and Stephanie Bennett at the Far Western table for the 80th Annual SAA Meeting. SAA president Jeffrey Altschul just announced that 5,323 people are attending #SAA2015! This is our largest meeting to date! 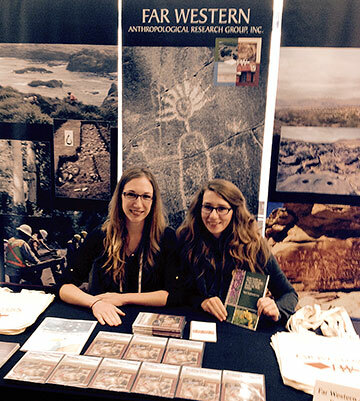 The Society for American Archaeology (SAA) met in San Francisco for their 80th Annual Meeting – their largest meeting yet! The SAA is an international organization dedicated to the research, interpretation, and protection of the archaeological heritage for the Americas. This year, Far Western was well-represented with many successful presentations, including the opening session, and poster sessions. 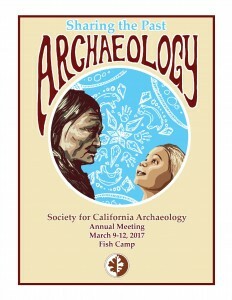 Learn more about the Society for American Archaeology HERE. Use the buttons below to see abstracts from Far Western presentations and collaborations! The Santa Clara Valley has an archaeobotanical record that spans from the central California Early, Middle, and Late periods. Sites CA-SCL-12, -478, -674, and -919 have robust plant remains assemblages from distinct periods that can be used to evaluate change in plant use and land management practices. Temporal context and habitat will be compared for each site to understand variation in plant diversity and intensification. Analysis at two California Late Period sites, CA-CCO-297 and CA-SCL-919 Stable isotope analysis can reconstruct individual mobility of prehistoric California on a scale that can distinguish movement between different parts of the San Francisco Bay Area. This study uses strontium and oxygen isotope analysis to compare individual mobility patterns of two Late Period sites, CA-CCO-297 and CA-SCL-919. Three life stages are used for comparison, including early childhood from first molars, early adolescence from third molars, and adulthood/time of death from bone. Isotopic ratios from bone resulted in consistent and site-specific signatures for both sites, while enamel ratios were much more variable, suggesting higher mobility during childhood and adolescence than during adulthood. CA-SCL-919 is composed mainly of non-local individuals born in a wide variety of locations, while many individuals interred at CA-CCO-297 were born locally. Both sites revealed mobility shifts from childhood to adolescence, possibly due to post- or pre-martial residence changes. The data also suggest sexual differences in movement patterns, which may inform on post-marital residence patterns. This work gives insight into ancient kinship organization in the San Francisco Bay Area, differentiates site-specific mobility patterns from life-history mobility signatures, and provides testable hypotheses on the structure of post-marital residence patterns during the Late Period of the San Francisco Bay Area. The study of raw materials has traditionally been deeply embedded in analyses of the Early Stone Age, and the impact of source rock characteristics on early human ranging behavior and technological variation is now widely acknowledged. Olduvai Gorge, Tanzania, apart from being one of the most well-known paleoanthropological sites in the world, is also home to a great diversity of potential sources for the production of stone tools. While the lithology and mineralogy of these sources have been well described, quantitative data on inter- and intra-source geochemical and physical characteristics are still rare, which makes it difficult to rigorously test models of early human home ranges and raw material selectivity. 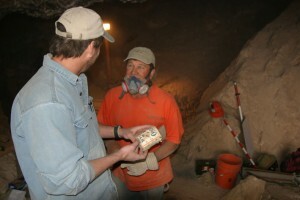 This project reports preliminary quantitative studies of variation in the geochemical (via portable x-ray fluorescence) and physical (via standard engineering tools) characteristics of primary and secondary rock sources that presumably served as important supplies of toolstone for Early Pleistocene hominins at Olduvai Gorge. The talk addressed the built environment of complex hunter-gatherer villages of the contact period in California. Although not agriculturalists, they constitute one of the most diverse and well-documented amalgam of complex hunter-gatherers in the world. The study explores the interrelationship between vernacular architecture, households, community organization, and their socio-economic underpinnings. 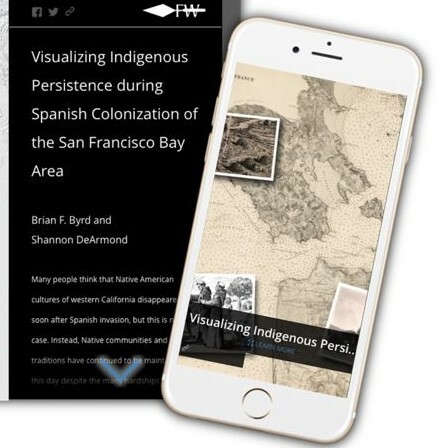 In doing so, highlighted case studies will include the Chumash of coastal southern California, the Patwin of central California, and the Wintu of northern California. Finally, consideration is given to the potential for ethnohistoric vernacular architecture of California hunter-gatherers to provide insight into fundamental variables in the development of Neolithic households worldwide. Wadi Madamagh, a small rockshelter in the Petra region of the Western Highlands of Jordan, contained high-density deposits of the Late Upper Paleolithic and the Early Epipaleolithic periods. It was first excavated in 1956 by D. Kirkbride, who placed two trenches into the site and briefly reported on the lithics, which have since been studied in detail (B. F. Byrd). A small test along one of Kirkbride’s trenches was conducted in 1983 (D. Schyle), and more intensive excavations were pursued in 2011 (D. I. Olszewski and M. al-Nahar, as well as D. Schyle). As a result of decades of exposure due to the open trenches left by Kirkbride, the remaining deposits at Wadi Madamagh are unfortunately quite limited, especially those of the Early Epipaleolithic. In this paper, we address this issue in part by combining data from the lithic assemblages recovered from all three excavation seasons. This is thus the first comprehensive examination of the stone artifacts recovered from this site. It examines their significance for understanding the behavioral strategies of Late Upper Paleolithic and Early Epipaleolithic hunter-gatherer-foragers in this part of the Levantine Middle East. Recent Haskett projectile point finds from western Utah’s Great Salt Lake Desert provide a compelling case for megafaunal hunting in the Great Basin, a region that stands out in North America for its lack of direct evidence. The Haskett style is likely the oldest representative of the Western Stemmed series of projectile points, and radiocarbon age estimates on black mat organics at the locality suggest a date range between ca. 12,000 and 13,000 cal BP. In this paper, an argument for megafaunal hunting is constructed for critical examination against alternatives. Images and technological attributes for the collection are presented, including one 22.6-centimeter specimen that is the longest Haskett point documented archaeologically and another that tested positive to proboscidean antiserum via protein residue analysis. Alpine villages are extremely rare in the Great Basin. To date, villages located at elevations above 10,000 feet are only known to occur in the White Mountains and the Toquima Range. Demographic forcing and climatic change has been used to explain the existence of these villages, but these propositions do not identify more specific selective pressures that led to the establishment of high elevation villages in some ranges but not others. Comparison of artifact distributions and environmental structure in the Toquima Range, where a village exists, and the Toiyabe Range, where one does not, supports the notion that alpine villages may have been subsidized by intensive exploitation of mid-elevation pinyon groves associated with low-cost travel corridors, which facilitated transport of pine nuts to upland village locations. This study also reveals that limber pine may have played a role in alpine village subsistence, and identifies the need for further research on the value of this resource. Several researchers have hypothesized that high elevation habitats were not intensively used until after 4000 cal BP when lowland settlements became more stable and logistical hunting organization emerged. This paper evaluates this hypothesis by comparing the relative frequency of Pinto versus Elko/Humboldt series projectile points across a variety of lowland and upland settings in the White Mountains/Owens Valley area. Occupation in the San Francisco Bay Area The effects of landscape evolution on the archaeological record of the San Francisco Bay Area have been profound, primarily due to rising sea levels. These changes are illustrated through a trans Holocene “tour” of the bay that incorporates the landscape context of many sites featured in subsequent papers. For the region’s first inhabitants, this area was a vast inland valley rather than the state’s largest estuary. The Holocene transgression is illustrated utilizing a new sea-level curve developed for region, which is based on an analysis of over three hundred radiocarbon dates from marsh deposits in the bay and delta. This curve is used to reconstruct the extent of the bay at various times in the past, illustrating just how much of the landscape once available for prehistoric human populations is now submerged. The terrestrial response to rising sea levels during the latter portion of the Holocene included infilling of formerly incised stream channels, alluvial deposition on surrounding floodplains, and the formation of extensive wetlands and dune fields, as illustrated by recent geoarchaeological studies from the region. 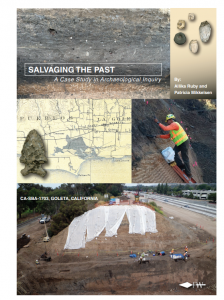 These examples show how large-scale landscape changes structured the region’s archaeological record, and likely explain why the early portions of California’s past are poorly represented. To the uninitiated, Maya “eccentrics” are vague archaeological labels applied to flaked obsidian objects placed in ritual caches during the Classic Period (AD 250-800). Although labels of humanoid, deity, animal-like, or other shaped objects are often unclear, lithics analysts have tried to define eccentrics based on technological attributes to enable comparisons between contexts, sites, and regions. Those studies that reconstruct a complex chaîne opératoire demonstrate many eccentrics had a dynamic socio-technological biography prior to their deposition in ritualized contexts. After 30 years of systematic investigations, the Caracol Archaeological Project has recovered many ritual cache deposits of Maya “eccentrics”. Caracol eccentrics are typically terminated or disabled exhausted polyhedral blade cores, but can also be broadened to include (modified) macro-core shaping flakes/blades, platform preparation, and core rejuvenation debitage – all those objects that help to create and maintain, a socio-technological blade industry. The broad household ritualization of these objects through specific crafting acts demonstrates that non-blade objects were essential to social relations between obsidian crafters and socially diverse household ritual practitioners. This paper defines these ritualized objects technologically to highlight the performative production by obsidian crafters and presents their distributions at households to understand their circulation to non-crafters for use in household ritual events. San Francisco Bay was created by post-glacial sea-level rise during the span of prehistoric human occupation. The Bay is the single largest Pacific estuary in the Americas (4,160 square kilometers) and is the outlet for California’s largest freshwater drainage system that carries 40% of the state’s runoff. 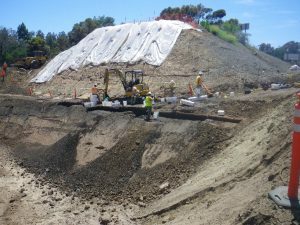 The earliest known evidence of widespread human use of the estuary or tidal resources in the Bay Area first appears at shell midden sites located around the Bay in the middle Holocene (6300-4600 cal BP). Recently, however, an intact human skeleton (“Transbay Man”) was found at an elevation of 12.8 meters (42 feet) below sea level in downtown San Francisco, which is the fourth, and oldest (~7600 cal BP) such skeleton recovered from a submerged context in the region. 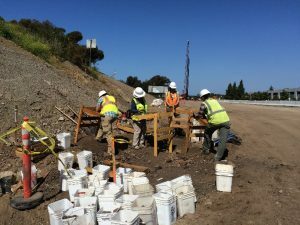 The stratigraphic sequence and paleoenvironmental context of this rare and unusual find are examined in relation to Holocene sea-level rise and landscape changes that transformed the Bay Area into an ideal place for prehistoric human settlement. More than 10 years of research at El Perú-Waka’, carried out under the co-direction of David Freidel and several Guatemalan collaborators, has resulted in a wealth of information about this ancient city and the role its rulers and residents played in the Classic Maya world. Enhanced through his work with Linda Schele, Freidel’s persistent focus on the interplay between ancient history and archaeology—on stelae, buildings, and people—has shaped research at Waka’, located in Guatemala’s Laguna del Tigre National Park. The Mirador Group, one of the site’s principal civic ceremonial settings, was an initial focus for the El Perú-Waka’ Regional Archaeological Project. While the Mirador Group’s stelae are either blank or largely eroded, archaeological investigation of the monumental architecture has shed light on topics explored in A Forest of Kings, including the role of Teotihuacan, Tikal, and Calakmul in Classic period interactions. This paper will explore Waka’s involvement in these relationships, particularly as evidenced by the Mirador Group’s royal interments and the narrative figurine scene depicting an elaborate courtly ritual. The Late prehistoric archaeological record of the Southern Sierra Nevada can be distilled down to two very visible elements: bedrock mortars and obsidian. Both were imported from outside the area, with obsidian coming from the east and the idea of the bedrock mortar coming from the west. We argue that the presence of transported obsidian, much of it deposited prior to 1000 cal BP, and the later establishment of bedrock mortars encouraged more persistent use of this landscape. We see this as an example of the downstream effects of niche construction. We present an Ideal Free Distribution Model to explore the successful establishment and spread of hunter-gatherer residential settlements around the perimeter of San Francisco Bay, California. Our objective is to illuminate underlying ecological and social factors that best explain the spatial distribution of occupation in the region. Our model determines relative habitat suitability based on a series of environmental factors including drainage catchment size, rainfall, terrestrial productivity, and littoral productivity. In doing so, we also account for diachronic shifts in shoreline location and its impact on resource distribution. Then we test this model using a robust database of more than 500 prehistoric residential sites around the Bay (of which more than a third have produced chronological data), and ethnohistoric insights into settlement location by linguistic group. The talk concludes with consideration of the effect of social as well as ecological factors in structuring temporal trends in settlement configuration and subsistence strategies that formed the basis of this rich archaeological record. The Sacramento Valley bottom is a rich environment for faunal resources, notably fish, but lacks staple nut crops found elsewhere in interior central California. The absence of key nut resources appears to be the key factor in intensified production of geophytes and the early intensification of small seeds, especially Chenopodium spp. These features are absent in other regions in the rich archaeobotanical record of central California. One of the largest federally funded cultural resources undertakings in the State of Nevada, the Gold Butte Inventory Project exemplifies Far Western’s ability to conduct GIS-integrated land-use studies, large-scale sample surveys, and archaeological test investigations. We produced a complete human land-use study for the 364,116-acre Gold Butte Study Area located in eastern Clark County, Nevada. The effort included the development of a Research and Class II sample survey design (essentially a Class I Report), Class II Inventory of approximately 35,000 acres of random and non-randomly selected sample units, GIS modeling of the archaeological sensitivity of the area based on survey findings, and field excavations of nine key prehistoric sites to assist in chronological and assemblage control. Products resulting from this large-scale multi-year Section 110 study include: (1) a Research Design and Overview; (2) a nine-volume findings report; and (3) a Cultural Resources Management Plan. The Prehistory of Gold Butte: A Virgin River Hinterland, Clark County, Nevada. University of Utah Anthropological Papers No. 127. Salt Lake City, Utah.